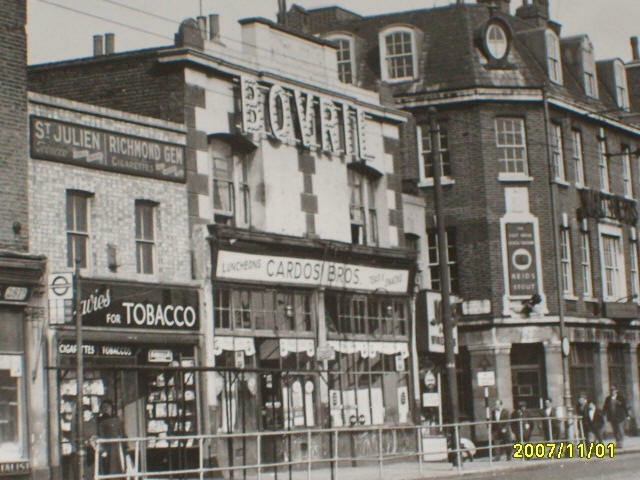 A listing of historical public houses, Taverns, Inns, Beer Houses and Hotels in Bromley, Middlesex - now in East London. The Bromley, East London listing uses information from census, Trade Directories and History to add licensees, bar staff, Lodgers and Visitors. The Cardosis cafe is on the corner of East India and Brunswick Road, as is the tavern. My family's cafe was Cardosis which is central in the picture, I think the year is 1955.